What happens now that Nick has lost his Grimm powers? Read our recap of the Season 4 Premiere of Grimm, “Thanks for the Memories”. Captain Renard is at the hospital in critical conditions, after he was shot three times by a former FBI agent, connected to the Royals. 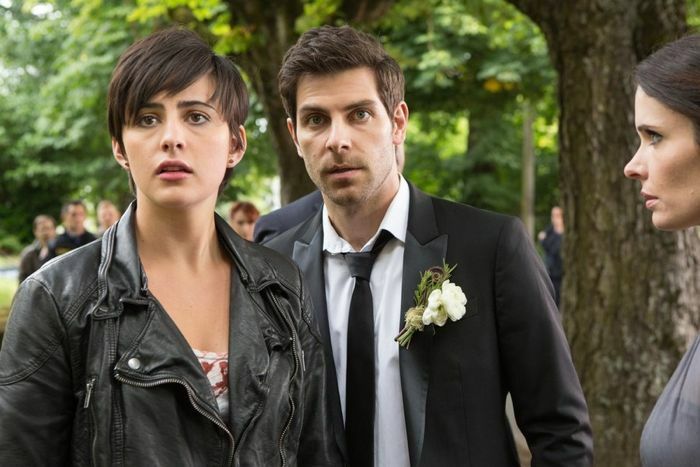 The police and the FBI are now investigating the shooting, Nick and Trubel decide with Hank and Juliette to tell the truth, that Trubel killed the man who shot Captain Renard at Nick’s house. Wu finds some books regarding wesen in Trubel’s room, and so does an FBI agent, who turns out to be a wesen. But, Nick can’t see that anymore, since he lost his Grimm powers. In the meantime, a mysterious wesen is apparently capable to steal the memories of other people. A man is found injured, confused, he didn’t know who he was, after he was attacked by this wesen. Nick and Hank have to investigate, without knowing it was a wesen. By the man’s injuries though, Nick and Hank understand that it might be the case for a Grimm. 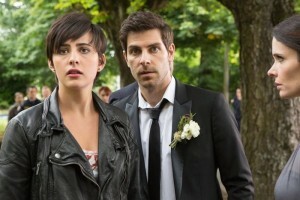 And the only Grimm left in town is Trubel. She’s ready to help Nick. Hank finds out that Adalind is heading to Vienna, because she thinks the Royals have her child. But as we know, her child is with Nick’s mother. Rosalee and Monroe, who should be on their honeymoon, come back to help Nick and the others. Back at the hospital, after another crisis, Captain Renard dies. And who is the mysterious woman who is standing outside his hospital room?